An old fashioned family trying to make it in a modern world. Today is All Souls Day. The day we remember our dearly departed. This year we are especially remembering Grandma Isobel. We aren’t going to the cemetery today, but we did make a special trip on her birthday. Ella wanted to bring Grandma a rose. This afternoon Ella and I will be making a special supper. We’re making chicken cacciatore, it’s the dish my Grandma Rees made nearly every time we came for a visit. Give rest, O Christ, to thy servants with thy Saints, where sorrow and pain are no more, neither sighing, but life everlasting; where thou, O Christ, with the Holy Ghost , art most high in the glory of God the Father. An apple, a pear, a plum, a cherry, Any good thing to make us all merry. One for Peter, One for Paul, One for Him who made us all. To hear Peter, Paul and Mary doing a lovely version, click here. Today is All Soul’s day, the day we remember the dearly departed. Traditionally this is where Trick or Treating comes from. This year I thought I would try making Soul cakes. This is an adaptation of an old recipe from the 1800’s. It’s very simple ingredients lead me to think it’s a much older recipe. It’s almost like a spiced shortbread/sugar cookie. Traditionally they should be round with a cross cut into them, but I made them heart shaped since we are remembering our loved ones. Mix together dry ingredients. Cut in butter. Beat egg together with vinegar and combine with dry ingredients. Dump out onto table and knead into a soft dough. Roll out 1/3 inch thick. 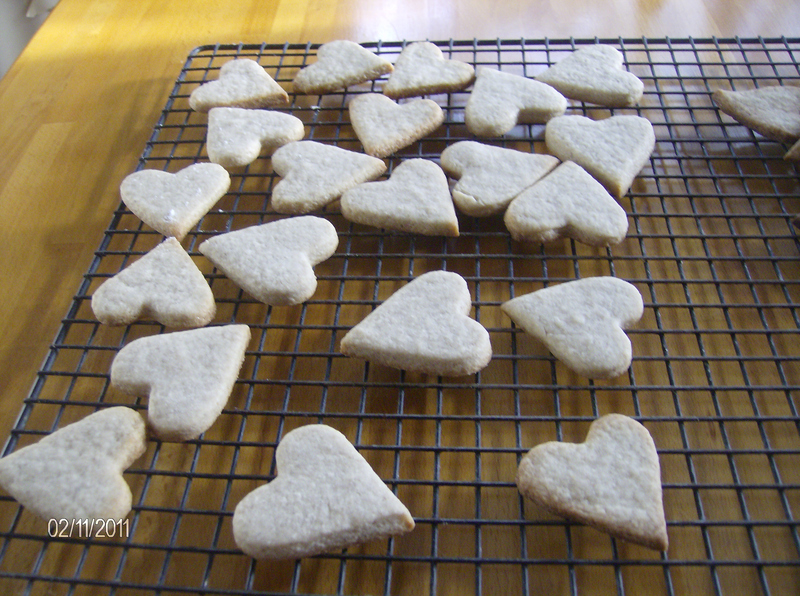 Cut out cookies and place on lined cookie sheet. Bake 350F for 15 minutes. Today is All Souls’ Day. Today we remember the Faithful Departed. Family and history are very important to me. I am the family tree keeper. I love Ancestry, I have been able to find many original documents. My family has never been rich or famous, though some generations have had more than others. Mostly we’ve been farmers and fishermen, living our lives close to nature. I may be from ‘town’ but farm life isn’t that far removed from my veins. 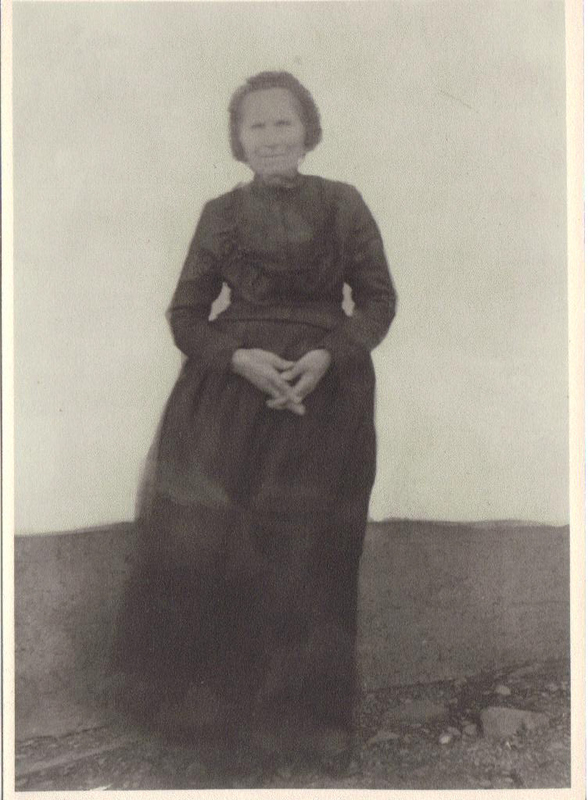 This lovely lady is my great-great grandmother, Martha Chard Skeffington. She was born in Bird Island Cove (now Elliston) Newfoundland. 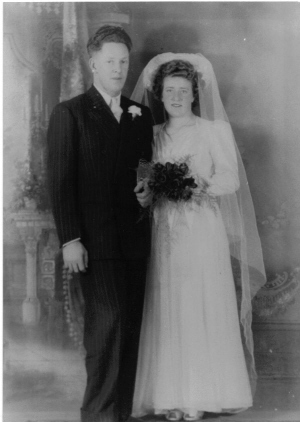 She married and raised her family in Bonavista. She was much-loved by her family. When I was born her granddaughter Maude sent me Martha’s rocking chair. It’s one of my prized possessions. It’s just a plain, black, Windsor back rocker, but sitting in it I feel all the past and love. I think it would be the thing I would save from the house in a fire (family and pets already out of course). This is a picture of my Grandma (Ella’s Great-Grandma in Bowmanville) as a little girl. Uncle Gord is still with us too. 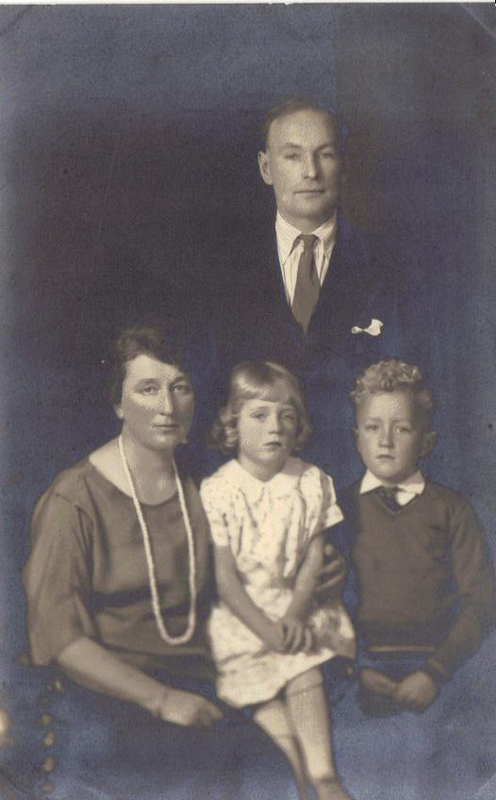 Great-Grandpa Heard was a farmer and Great-Grandma was a missionary doctor’s daughter. She grew up in China. Her father had actually been born in India because his parents were missionaries too. Great-Grandma remembered being evacuated to the coast during the Boxer Rebellion and some of her cousins were interned by the Japanese during WWII. I was lucky enough to know Great Grandma until I was 10. She was such a sweet and loving lady. My happiest time was when we lived in her house. It was a century home and around the corner from my Grandma and Grandpa Johnson. I loved growing up close to Grandma and Grandpa. Two of my uncles still lived at home. My youngest uncle was only 13 when I was born. Even with his health issues, Grandpa was loads of fun and would play with us grandkids as much as possible. He loved Christmas and was a bigger kid than the actual children. This is my ‘German’ family. My Great Great Grandfather was born in Hutchenhausen, Canton Landstuhl, Germany. His wife was from Strothagen, Hannover. 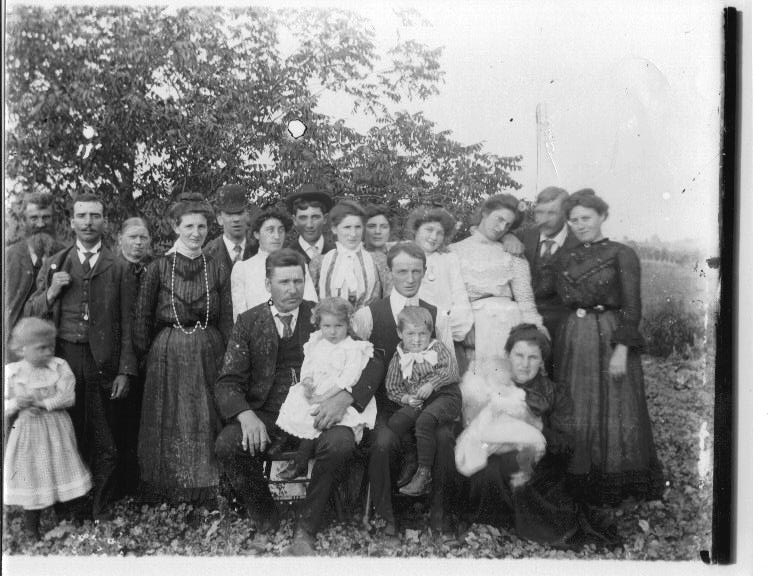 They came and settled in Neustadt, Ontario in the early 1860’s. This is a picture of some of their children and grandchildren. My great grandma is likely in here somewhere, but we’re not sure and there is no one left to ask. This side of my family were fairly old when I was born and didn’t talk so much about themselves. I didn’t get interested in family trees soon enough and missed a lot of opportunities. 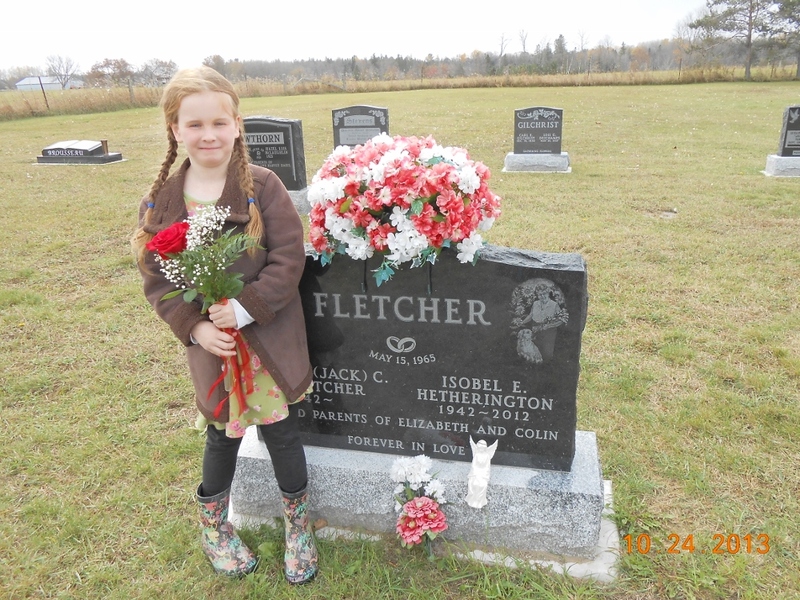 This is John Fletcher, he is Colin’s Great Grandpa. He was a farmer up here in Renfrew County. I don’t know much about Colin’s family. I’ll have to talk with his Mom. She’s the family tree keeper for their families. I just thought I’d share some pictures of our Faithful Departed. They are never really gone so long as we remember and share their stories. So remember those who have gone before.